Hugo Chávez, Venezuela’s fiery president and the most prominent leftist leader in South America, died Tuesday after a two-year battle with cancer. The 58-year-old, who rose through his country’s military ranks and led a failed coup before winning the presidency, died at 4:25 p.m. local time, Vice President Nicolás Maduro said in an address. "Much strength, much prayer and this difficulty in life must be carried with the greatest of loves that Hugo Chávez Frías planted in our heart," Maduro said on state television after imploring Venezuelans to avoid violence and hate in the wake of the polarizing leader's death. For more on the death of Hugo Chávez, visit NBCNews.com. Maduro will assume the interim presidency and will also be the government candidate when elections are called 30 days from now, the country's foreign minister said Tuesday night. A seven-day period of mourning will begin Tuesday, the government announced just after the president's passing, and his official state funeral ceremony will take place Friday morning. Top government officials from the defense minister to the central bank chief paid tribute to Chávez on Tuesday night and urged national unity. "This is a difficult moment, but we need to continue on," central bank chief Nelson Merentes said in an interview. "There were people who were against him, but this is not a moment to concentrate on that. It's one to come together." Foreign Affairs Minister Elías Jaua said Tuesday night that Chávez's remains would be moved to the Military Academy of Venezuela in Caracas on Wednesday, and funeral services would begin Thursday, with the official ceremony set for 10 a.m. local time (9:30 a.m. ET) Friday. Chávez died following a battle with cancer that brought him to Cuba repeatedly and forced the postponement of his inauguration for his fourth term. He traveled to Cuba most recently in December after abruptly announcing that he needed emergency surgery for his cancer, which had returned. 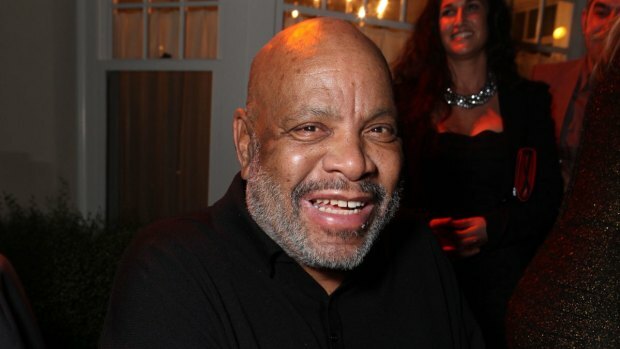 He underwent a six-hour surgery on Dec. 11, his fourth operation for cancer, and also underwent chemotherapy. The details of his illness, first treated in June 2011, had been closely guarded secrets, though Venezuela’s information ministry did reveal Monday that Chávez was facing a "severe" new infection and trouble breathing. Before heading to Cuba, Chávez designated Maduro as his preferred successor if he were no longer able to lead. Under the country's constitution, elections should take place within 30 days of a president's death. In the meantime, the vice president assumes power. Chávez was set to be sworn in for his fourth term on Jan. 10, but in a last-minute move, and amid growing confusion over the leadership of the country, the Supreme Court ruled that Chávez could be officially inaugurated at a later date, with the expectation that his health might improve. During his 14 years in office, Chávez transformed Venezuelan society through a leftist brand of governing that poured money into social welfare programs and offered free medical care and education to the poor, while broadly nationalizing everything from ranches to the country’s largest telecommunications company. He famously argued once for the seizure of golf courses, too, to free up land for housing, deriding the sport as a bourgeois pastime on his weekly television program. "I respect all sports," he said. "But there are sports, and there are sports." For many of the nation’s poor, he was a hero, and it was their support that won him reelection three times by convincing margins, even as the nation’s crime rate soared, inflation lingered above 20 percent and electricity shortages forced regular rolling blackouts. The country’s upper class, professionals and pro-business groups vehemently opposed him, as did press freedom advocates who protested his shuttering of many news outlets and support for laws that would punish "media crimes." His ex-wife, Marisabel Rodriguez, even campaigned against his move to eliminate presidential term limits — a battle he ultimately won in a 2009 referendum. She told The Associated Press that her intentions weren’t personal. "This struggle is against the danger posed by leaving a person in power for a long time," she said. Chávez’s opponents did manage to topple him in a 2002 coup, though his supporters restored him to the presidency a mere 47 hours later — a shocking turn of events that burnished his legend. In spite of his critics, he continued to garner enough support at home to win elections and, thanks to his nation’s vast oil wealth, enough power to be influential overseas. 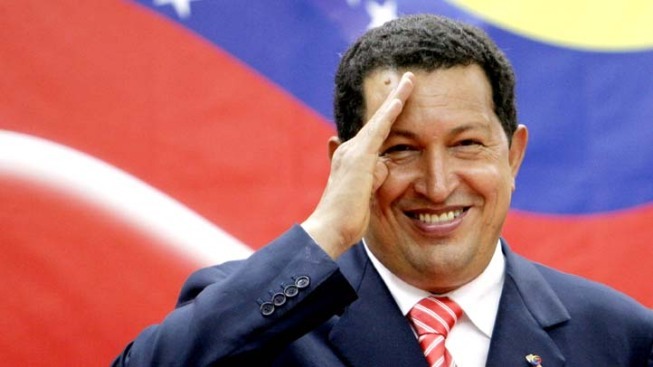 The son of schoolteachers, Chávez was born in a small farming town in the western province of Barinas on July 28, 1954. He grew up there with several siblings, in a household that struggled to make ends meet. As a teenager, he became a talented baseball player and landed a spot on a national team, the Criollitos de Venezuela, before earning a degree in military arts and sciences at the Military Academy of Venezuela. Chávez joined and quickly rose through the ranks of the country’s armed forces and eventually led an elite unit of paratroopers. During his time in service, he became increasingly angered and vocal about his country’s vast corruption and severe economic disparities. By 1992, he had gained a following within the military and led a failed coup against President Carlos Andrés Pérez. 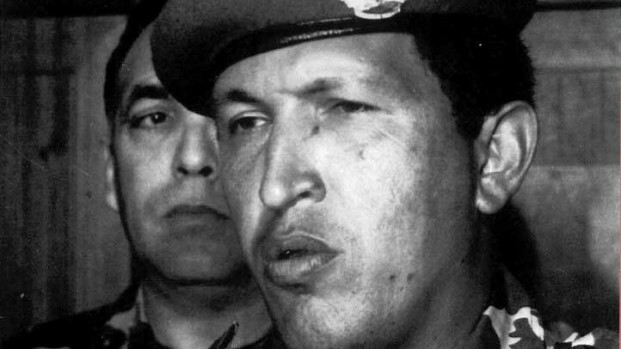 The effort landed Chávez in jail, where he remained for two years. Four years later, he won his first presidential election by a comfortable margin on a populist platform of radical wealth distribution, anti-corruption and anti-imperialism, becoming the youngest president in the country’s history. After taking office he quickly began implementing his vision of nationalization, putting steel mills, farmland and massive chunks of the country’s oil industry under government ownership. The United States was Chávez’s top political foe, and he freely and regularly railed against it in colorful televised tirades. In a 2006 speech at the United Nations, Chávez famously referred to President George W. Bush as "the devil," adding that the room "still smells like sulfur" from the American leader’s presence the day before. He later defended his rhetoric, claiming in an interview with Time magazine that Bush had called him worse things. "Tyrant, populist dictator, drug trafficker, to name a few," Chávez said. "I'm not attacking Bush; I'm simply counterattacking." Chavez also stirred up controversy when he began offering heating oil to poor U.S. communities at steeply discounted rates, earning praise from some U.S. politicians and disdain from others. Tensions grew between the two nations after Chávez’s brief 2002 ouster. He swiftly laid blame on the U.S., and CIA documents uncovered nearly two years later revealed that the U.S. was in fact aware that pro-business groups and their military supporters had been plotting to topple the Venezuelan president. Though he continued to criticize U.S. foreign policy and capitalist system after President Barack Obama took office, he had warmer feelings for the current commander-in-chief than he did for Bush. In September, he said on state TV that he would vote for Obama if he were from the U.S., adding that he hoped his comments wouldn’t prove harmful. Chávez won his fourth reelection Oct. 7 against Henrique Capriles, who campaigned for ending crime and cutting waste. Chávez won 54 percent of the vote in what was expected to be a tighter race. As Chávez’s health took a turn for the worse, questions abounded about the future of the Venezuelan president’s so-called Bolivarian revolution — inspired by Bolívar’s 19th-century revolution for freedom from the Spanish Empire — and its growing influence from Brazil and Uruguay to Argentina and Ecuador. Fears that his death may embolden opposition groups across Latin America speak to the powerful pull he had gained in the region over his last decade and a half of life. Chávez is survived by five children. He was married twice — first to Nancy Colmenares, whom he divorced in 1992, and later to Marisabel Rodriguez, whom he divorced in 2007.